France is known for its delicate cuisine, Michelin Star Restaurants, famous vineyards and high quality wines, and regions with castles such as the Loire Valley, and of course Lourdes, France which is a major Catholic pilgrimage destination. But for us Filipinos, only a few is familiar with the region of Alsace. 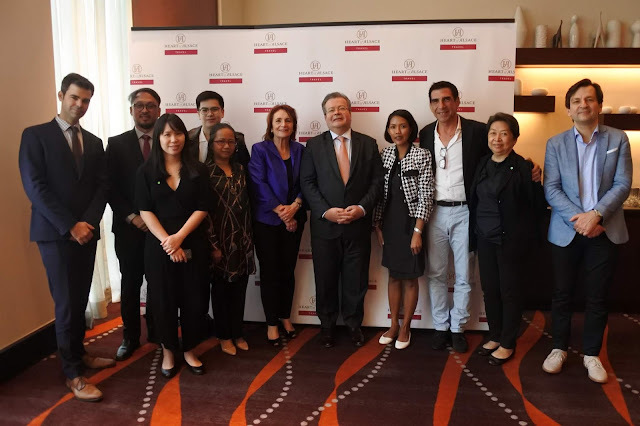 Earlier this month, the Eastern France Tourism Agency and PGI Holding Inc., launched Heart of Alsace at the Fairmont Makati. 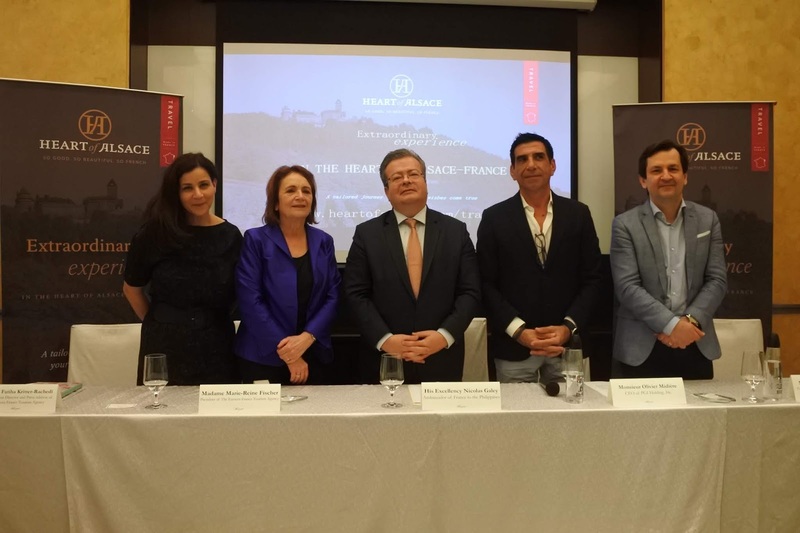 The collaboration aims to bring Alsace region closer to the Philippines and highlight it not just as a beautiful destination but a haven for food adventurers and wine enthusiasts. "It is my great pleasure to be a part of this event. France is known to be a very stretchalized state and remains the case despite a lot of progress in terms of centralization in the last forty years and among this progress is the fact that French regions have their own foreign policy and foreign promotion and it is certainly a great opportunity for Alsace to make it more known in the world," said His Excellency Ambassador Nicolas Galey, ambassador of France to the Philippines, in his opening speech at the Heart of Alsace launch. "Alsace is a region in eastern part France, boarder with Germany with beautiful landscapes, beautiful hotels and greatest number of Michelin Star Restaurants after Paris. 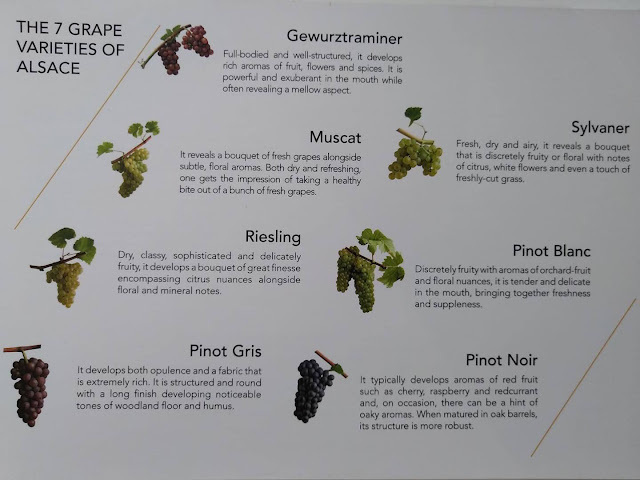 When you are talking of France and food you cannot escape talking of wine and Alsatian wines- red or white are well-known all over the world. So I am really happy that after having gone to other places in Asia and because the Philippines is also becoming a very important market because filipinos are very used to traveling and very interested in discovering the rest world, and we have lots filipinos visiting France. It is also important that beyond the well known destination obviously like Paris and the French Riviera, the Filipinos discover other regions of France and make Alsace more well-known," continued Galey. The Eastern France Tourism Agency headed by Madame Marie-Reine Fischer, aims to put a strategy in place that will enable Alsace and other French regions to meet the tourism challenges of the future as well as to put Alsace in the map as the premiere destination in the world. "Alsace has 31 Michelin star restaurants next to Paris as the most gastronomic region of France," explained Madame Fischer. "Alsace is also magical. Every December, it erects and decorates the highest Christmas tree in Europe and invite you to discover the over a hundred Christmas markets in the region. 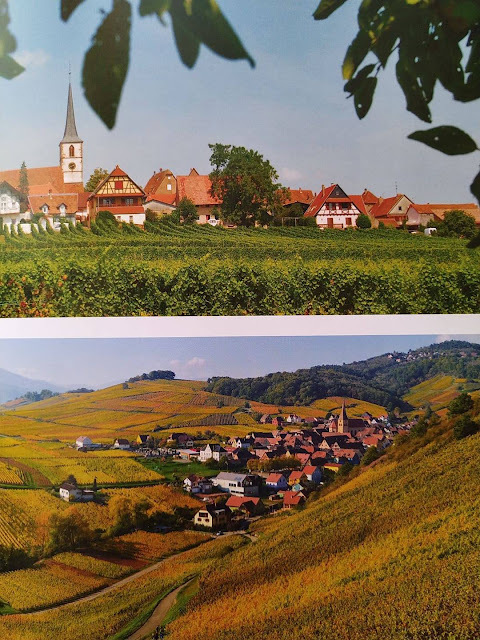 Alsace is also a UNESCO World Heritage Site." 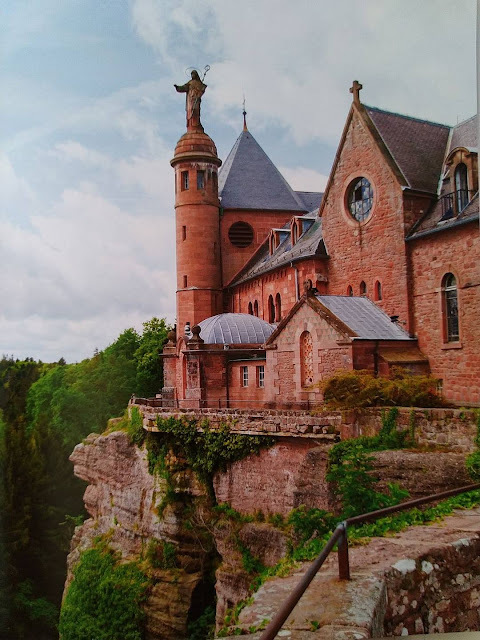 Ms. Fatiha Kritter-Rachedi, communications director of Eastern France Tourism Agency shared that there are many remarkable cities in Alsace like Strasbourg, Colmar, and Mulhouse that has castles and traditions that has been preserved for years. 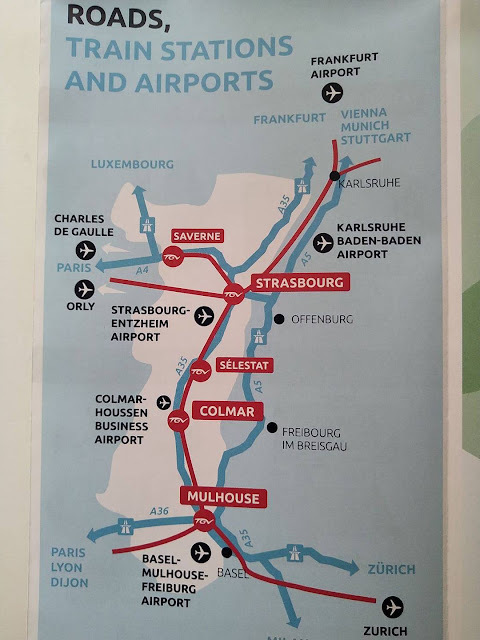 There is also the Notre Dame Cathedral of Strasbourg, Colmar is very picturesque and there's also the Le Petite Venise. 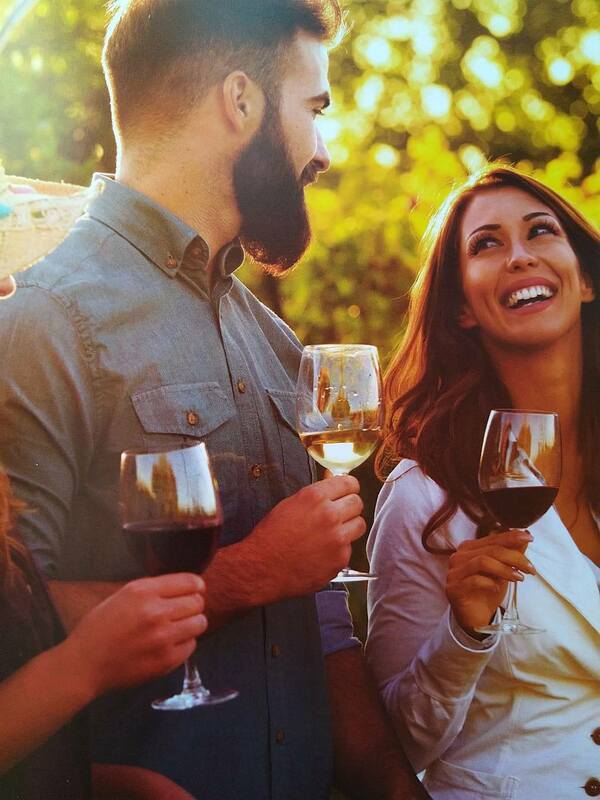 "There's a touristic itinerary for the 170km wine route. It is interesting because visitors can meet with the producers of wine and there are thousands of open cellars. Alsace wine are perfect for Asian food like fish and spicy dishes," added Ms. Fatiha. The Heart of Alsace Travel is a chance for everyone to savour Alsatian wines and at the same time enjoying the magnificent view, and culture-tripping in the region. There are three travel package to choose from: Travel Wine Tourism, Corporate Seminars, and Spiritual Pilgrimage. These choices will allow the travelers to immerse themselves in Alsace' culture, history, and of course, cuisine. 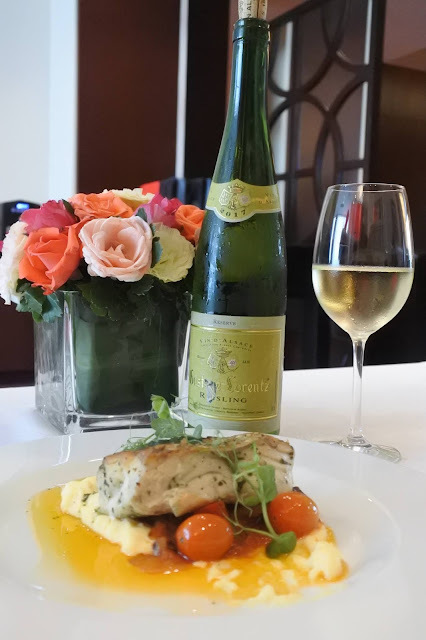 "Heart of Alsace will create an exclusive brand territory to highlight and market online and offline products and services promoting wine and gastronomy," explained Olivier Midiere, CEO of PGI Holding Inc. "Wine selections of white and red that focuses on the seven varieties of grapes such Riesling, Pinot Blanc, and Gewurztraminer which you will taste today." 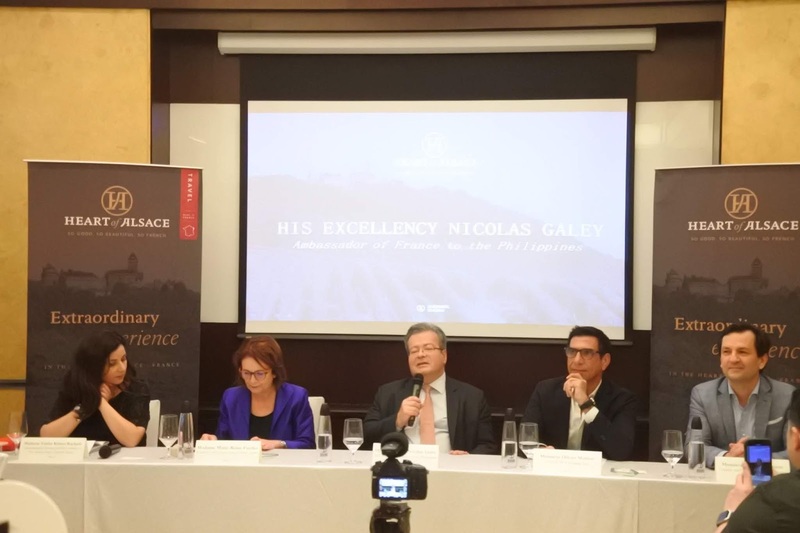 Along with the country's top travel agencies, the Heart of Alsace Travel will now be a part of their tour packages and will help Filipinos in having a seamless travel process to France. This is just the first phase of Heart of Alsace. It plans to launch other brand concepts this year and aims to reach more people so that everyone can have a taste of unique Alsatian experience. Capping the launch of Heart of Alsace is a wonderful lunch that introduces the guests to three Alsatian wines: Gustave Lorentz Pinot Blanc 2017, Gustave Lorentz Riesling 2017, and Gustave Lorentz Gewurztraminer 2017. 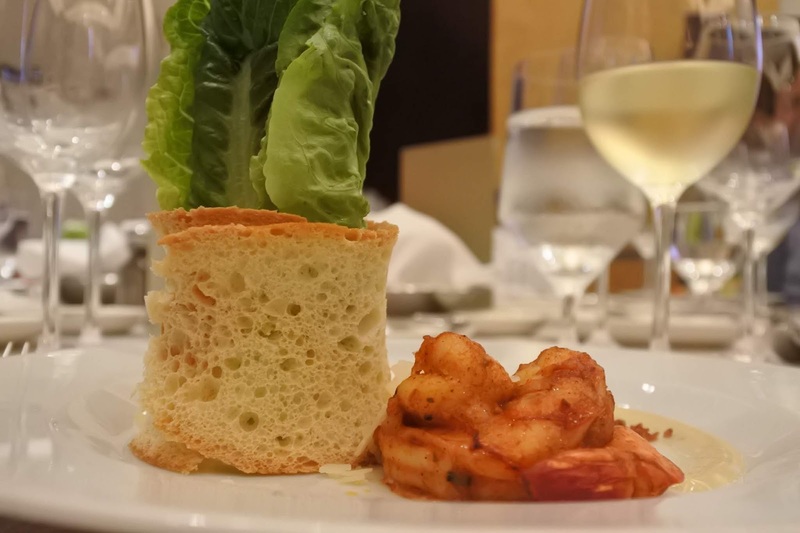 Baby Romaine Cesar Salad paired with Gustave Lorentz Pinot Blanc 2017. 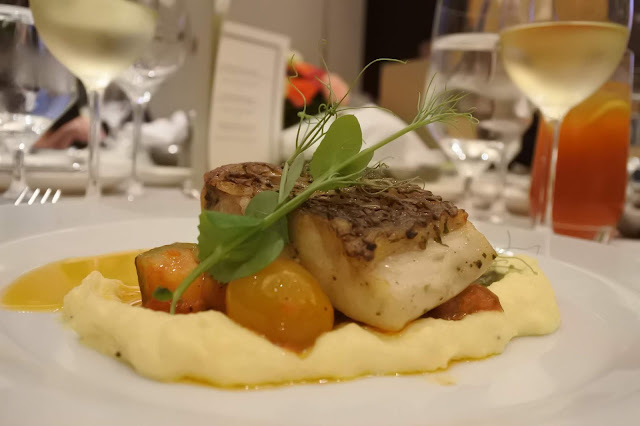 Pan Roasted Red Snapper paired with Gustave Lorentz Riesling 2017. 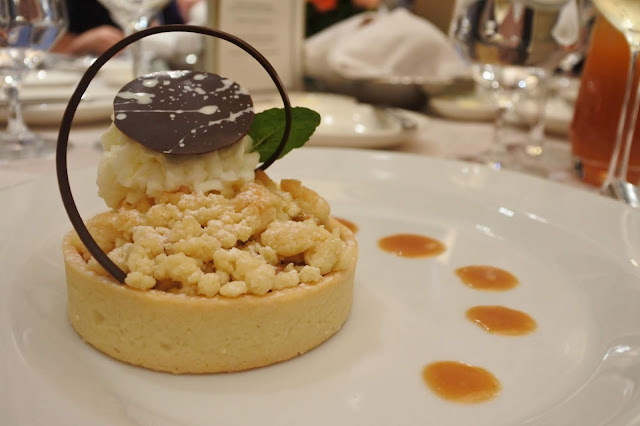 Apple and Cinnamon Crumble paired with Gustave Lorentz Gewurztraminer 2017. Guests at the event includes His Excellency Nicolas Galey, Ambassador of France to the Philippines, along with Madame Marie-Reine Fischer, President of Eastern France Tourism Agency, Benoit Ghestem, Founder and CEO of Magnific Escapades, and Fatiha Kritter-Rachedi, Communications Director of Eastern France Tourism Agency. Please visit Heart of Alsace for more details. So Good. So Beautiful. So French.